Patience has stepped in for her father, continuing his dream of running Rosemere Girls School, after he dies and her brother disappears to London. However, is being the Headmistress of Rosemere all that Patience wants? Is it all that she is meant to do? Or does Patience need to have a little patience that her story is not over, it's simply beginning. That God has a plan for her even if it has yet to be revealed? The feeling of impatience is one that many know. 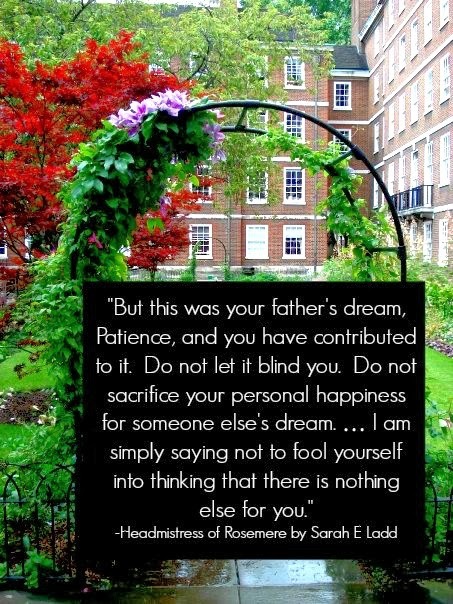 You have a plan for your life, a vision of where you are headed. Then things go wrong, or it's not what you expected. Then what? Patience, one of the main characters in the book, has a very apropos name for the theme that stood out most to me in the book. Is she meant to be more than just the Headmistress of Rosemere? Would I Recommend the Book? Yes, I would recommend this book to fans of Regency era stories, Jane Austen and Julie Klassen. I adored Ms. Ladd's first book in the series, Heiress of Winterwood. It was my favorite book in 2013. I was really excited to read the next installment. 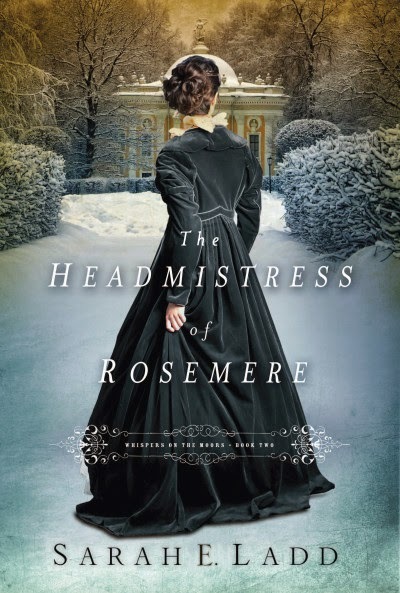 I was worried that I wouldn't be let Headmistress of Rosemere stand on its own, that I would consistently compare it to the first one in the series. While I did think back often to Amelia and Graham I was happy to give Patience and William a chance. And you should too! Purchase the first book in the series, Heiress of Winterwood, here. Find out more about Sarah E Ladd here. From the Publisher: Patience Creighton has dedicated herself to the Rosemere School for Young Ladies. But the return of the enigmatic master of the estate puts everything she loves at risk.